Fear of discomfort–but I love eating bread and baked goods! this will mean more work!–and fear of the unknown–what will I be able to eat instead? what if I don’t like the foods I am allowed?–loom large in the contemplation of dietary change, and we are hardwired to avoid pain and seek out pleasure; for most people, that means staying with within our comfort zones. But growth doesn’t happen in the comfort zone; it happens when we push ourselves beyond. This is the definition of eustress or hormetic stress, short-term stress that creates “mobilization without fear” (Rosenberg, Accessing the Healing Power of the Vagus Nerve) which is generally beneficial to our development and resiliency. In other words, it is the grit, discomfort and agitation that reward us with the pearl. As a high functioning autistic individual with amplified sensory processing challenges, this has been an ongoing lesson for me to learn and apply to my life, and I often need to check in with whether my motivations for a given decision are personal growth or personal comfort. Even when I know that an uncomfortable choice will help me grow as a person, I often have to provide myself with justifications to overcome the fear. 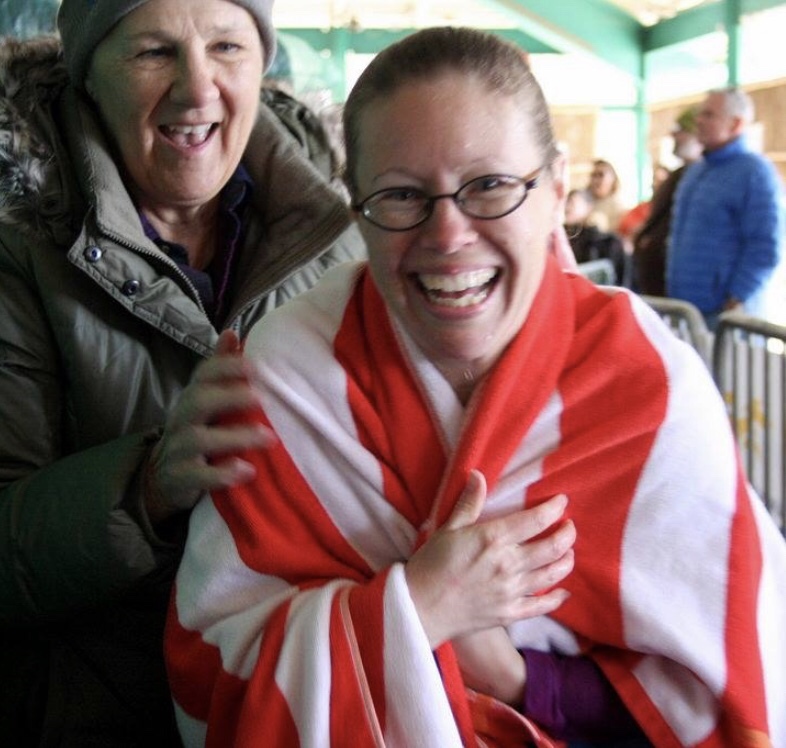 For example, about two years ago, I made the decision to participate in the Polar Plunge at the Denver Zoo. My justifications were that I wanted to challenge myself to overcome a fear of jumping into water (especially cold water); that it supported a good cause (Special Olympics); that it would allow me to take my boys to the zoo for free (family pass was included in the entry); and that it would be a good example to my son Theo of overcoming fears. When the day came, the temperature was 20F outside, the tank turned out to be at least a foot away from the platform so that I couldn’t use an arm to support myself on the jump, and it was four feet deep so that I had to take of my glasses or risk losing them in the tank. 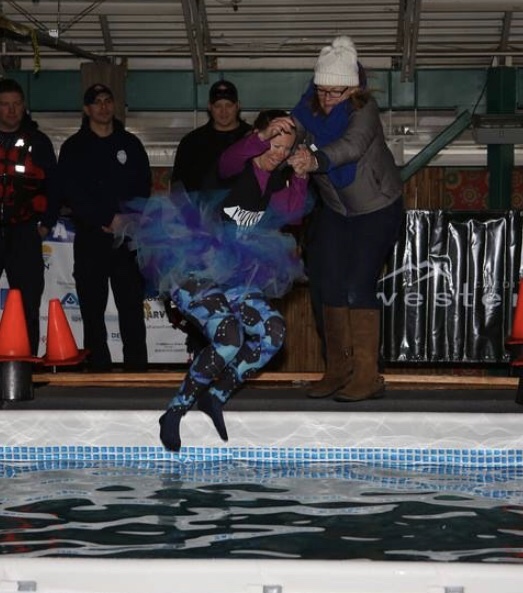 I was honestly terrified, shaking like a leaf, and had to rely on the compassionate hand of the announcer on the platform to steady myself as I took the plunge. After what felt like a eternal split second, I was on hard ground again, safe, able to see, and ready to change back into my comfortable, dry and warm clothes. I don’t feel the need to repeat the experience, but I know now that I could overcome that and any other fear, which is an incredibly empowering thing. In relation to food-based decisions, I have found that, much like the Polar Plunge, it works best for me to choose to jump in with both feet, regardless of how well prepared I feel. In fact, if I had to wait until I felt fully prepared, I would probably accomplish very little; the more time I have before starting something, the more I tend to overthink and make excuses why I am not ready yet. We are never really ready to overcome fear or discomfort, but we feel so much better once we do, because making one choice to face our fear or pain means we are exerting a measure of control over it, and the perception of control leads to more self-confidence in the choices we are making. My food journey started with a single goal: To expand beyond my limited culinary horizons for my family’s sake. I didn’t want Jeremy to have to eat the all the same foods over and over just because that was all I could tolerate as a picky eater. To accomplish this goal, I chose to teach myself how to cook from scratch, which allowed me a significant measure of control over the textures, flavor and appearance of the finished meal. It also meant I could choose to include foods gradually that I feared in our diet, which also gradually allowed me to choose curiosity over fear. 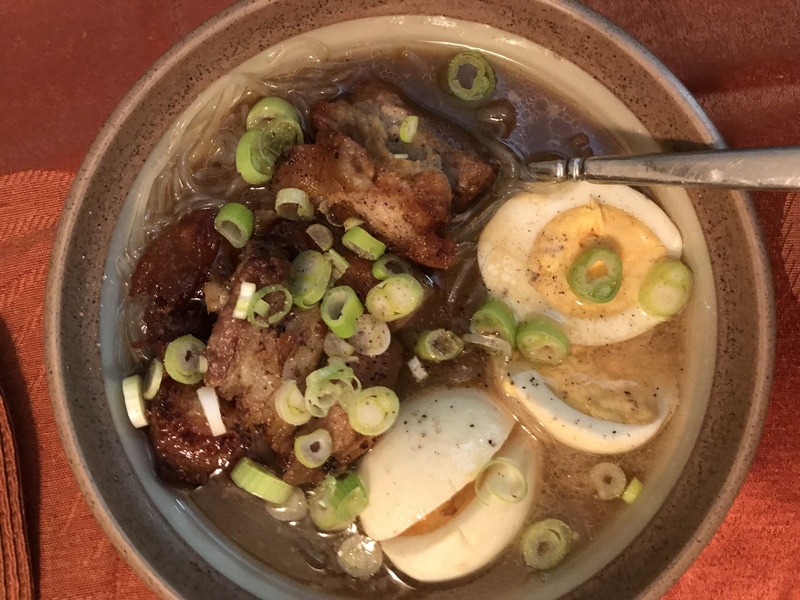 Practicing different cooking techniques led to confidence, if not mastery, and made me more comfortable with a wide range of ingredients and cuisines. As I moved forward, my food choices led to interest in nutrition and nutrition therapy; in other words, how do my choices of food variety and quality impact my health and wellbeing, and that of my family? Over the past 10 years, this question has been my focus as our family shifted first to a traditional foods diet, then to a gluten-free diet, and more recently to a low-carbohydrate oriented diet. It has been interesting to me to watch my family consider trying the keto diet after having gone through this experience in the last year myself. 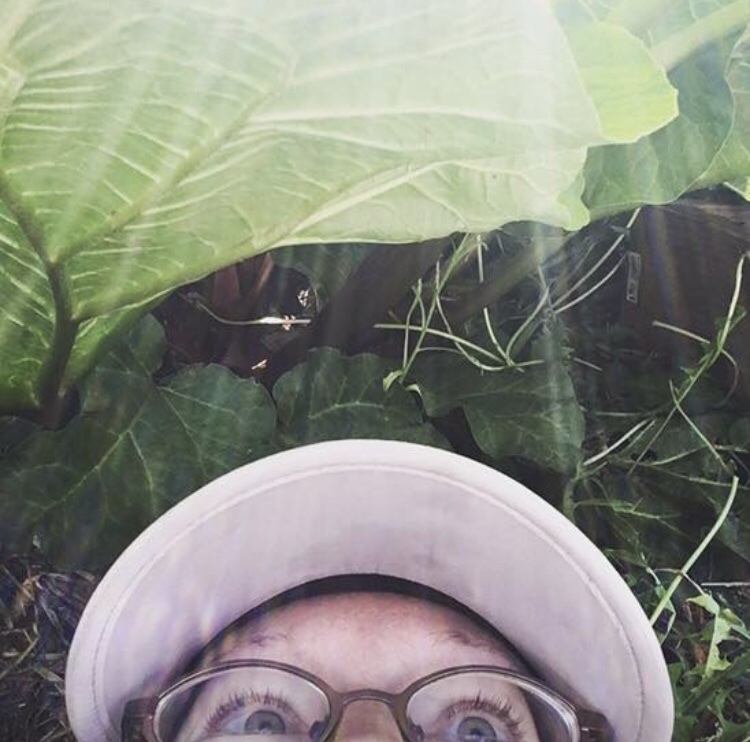 Despite how far I have come, every one of these dietary changes has been highly intimidating for me, but I have actively sought ways to overcome the fear and mobilize my growth, and it fascinates me to watch them tangle with the same issues. Jeremy made the choice to try the keto diet nearly a month ago now, and I am proud of how well he is doing: hardly any complaints about cravings, no additional fatigue, just once instance of muscle cramps which we remedied with increased mineral consumption, and he has lost over 5 pounds. No doubt it helps that he has had a home cook and nutrition therapist living in the house with him, buying his groceries and slowly transitioning his food choices over a 15-year period, and now making or buying almost every single keto meal he has consumed. I know what foods he likes that are already keto or readily adaptable, which has eased the discomfort of an elimination protocol, and I don’t keep many non-keto food options around. I have encouraged him to take ownership of the diet by trying to get him to choose recipes for me to cook, teaching him my keto cocoa recipe, and reading him information about how the diet impacts his physiology, and he is very slowly beginning to make some independent food choices without relying constantly on me for guidance in what he can or should eat. Perhaps he is even beginning to realize how lucky he is to have a wife who places such high emphasis on nourishing his health with food, herbs and essential oils. Good advice that I hope to remember for myself as my food journey continues!